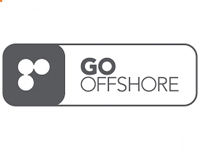 GO OFFSHORE is a fully owned entity of the GO MARINE GROUP and commenced operations in Australia in 2007 and in Singapore in 2008. GO OFFSHORE provides vessels management, marine consultancy, offshore crewing, rig moving and all associated services to the Australasian Offshore Oil and Gas Industry. For Oil Companies and Offshore Construction Contractors we offer a full spectrum of Marine Consultancy, for Vessel and Rig Operators we offer full and adhoc labour supply and for potential employees we offer a matching service putting you to work in a great environment with excellent pay and conditions.